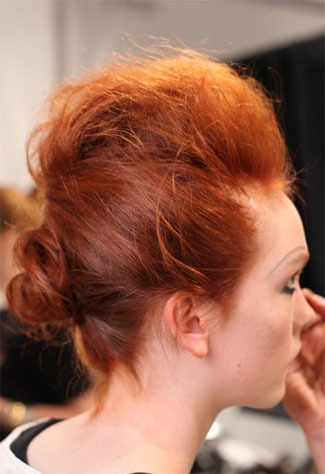 Tracy Reese graced the runway with an array of bold colors, and big hair for New York Fashion Week, spring 2010. It’s always nice to see women of color getting their shine. 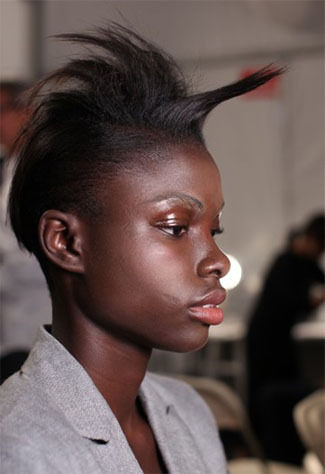 And while I’m not sure who’s responsible for the rat-a-tat-tatting and teasing it took to create these hairstyles, I once again am disappointed how black women and their hair is presented on the runways. To be fair, the look is not cute on the white models either. They could always do better.